The so-called "Baby Bronco" was just announced last week, but the company could be testing it already. 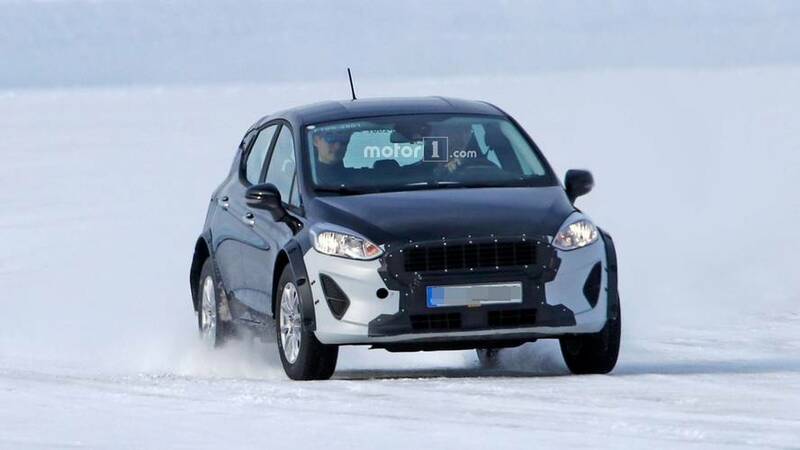 Don’t let your eyes deceive you, this is not actually a lifted Ford Fiesta. Underneath all that bodywork is what we believe to be an early test mule of Ford’s yet-to-be-named "Baby Bronco." The Blue Oval announced the all-new SUV last week at the its "Ford Uncovered" press event in Dearborn, alongside plans to "reclaim [its] rightful place as the off-road vehicle leader." Both the Bronco and the small SUV caught testing here should be well ready to take on the tough stuff. Though the images don’t show much of the final product, there are some key details that help reveal the prototype’s true identity. 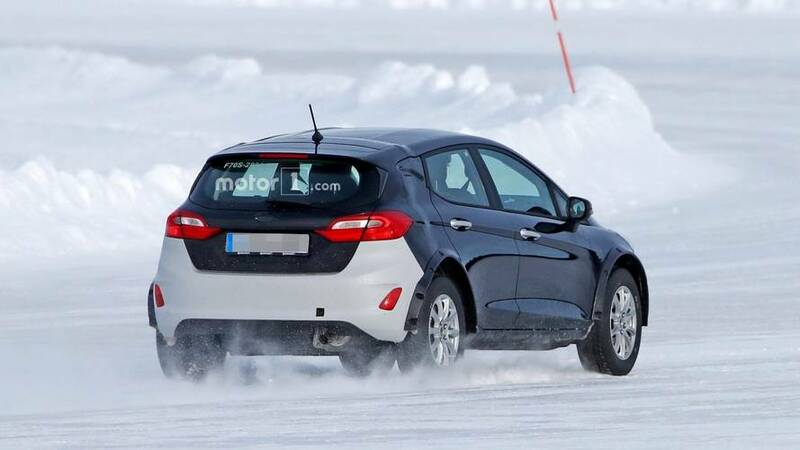 For one, the Fiesta mule is wider and longer than the standard model, hinting at its more rugged underpinnings. The extended fenders, longer wheelbase, and unique details on the front and rear fascia are another key giveaway. 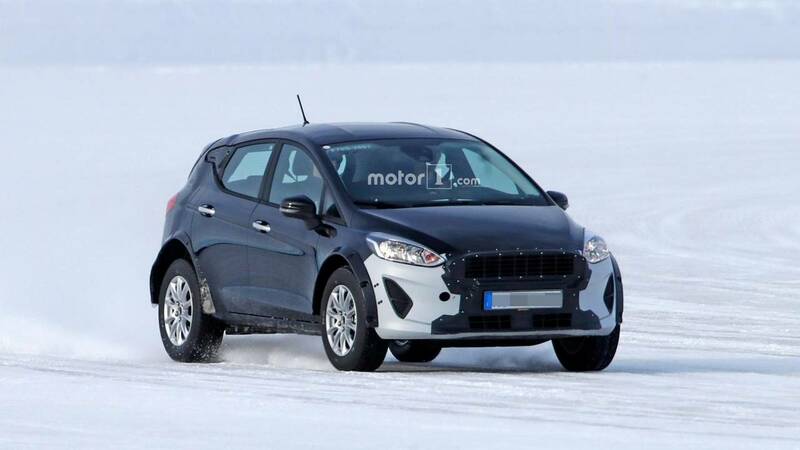 Another telling sign comes in the wheels; both the Fiesta and the Ecosport have four wheel bolts, whereas this prototype has five. 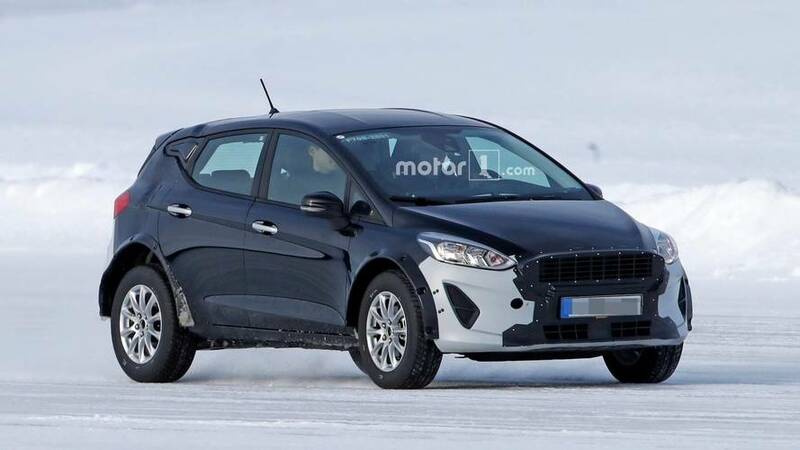 Ford has suggested that the new "Baby Bronco" will be focused too on off-roading, so the Fiesta prototype’s ride height suggests this could be small SUV in disguise. Apart from the ride height and rugged cues, this prototype shares little in terms of design with the teaser we saw last week. The baby SUV will share a number of similarities with its larger Bronco sibling, while also rivaling the Jeep Renegade not only in stature, but also looks. The boxy styling pairs with a tapered grille and round LED headlights. Of course, we won’t know all the details until the final product arrives in full. 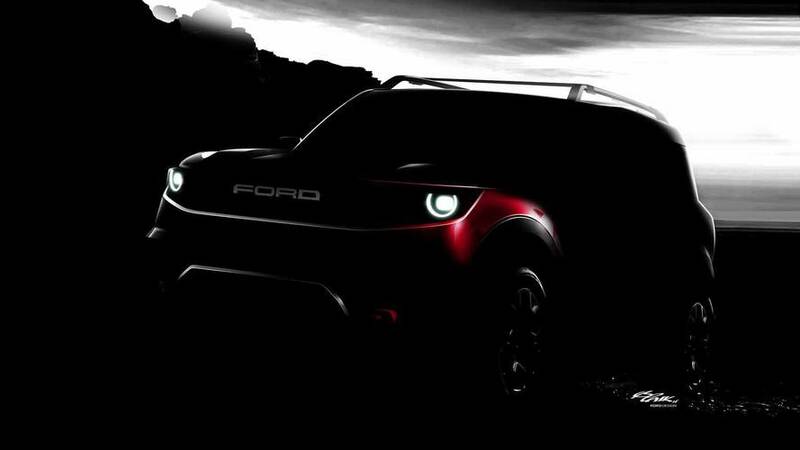 Ford will continue to tease and test its new SUV over the next year ahead of a debut date likely sometime in 2019.